King Pawn is an intense portrayal of what's going on in Syria. 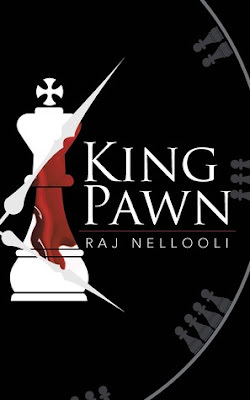 Raj Nellooli’s gripping novel tells of revenge and honour in the complex setting of an oversimplified war. This story is fiction, but it's set in today’s world, and follows a man named Robert Frost who goes under cover in Syria. If you're tempted to think the current Syrian crisis is simple, Nellooli's unflinching novel should wake you up to the messy, heartbreaking reality of it all. The author has done a fantastic job of telling this gripping story that kept me on the edge of my seat with my chest clenched. The only word of warning I would give, set some time aside, because once you start, you won’t stop until you're finished.